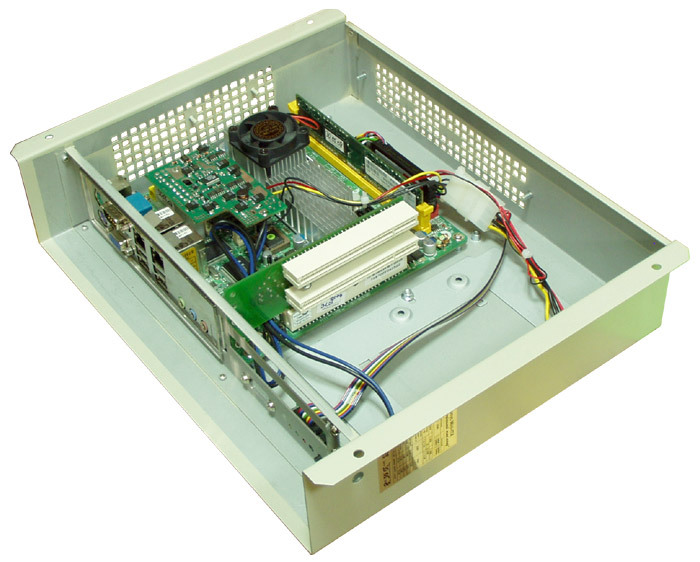 The DP031 is an ATX power supply designed to supply a low power consumption PCs from a single 12V power source. This PSU is designed for VIA EPIA M, VIA EPIA ML series of motherboards. 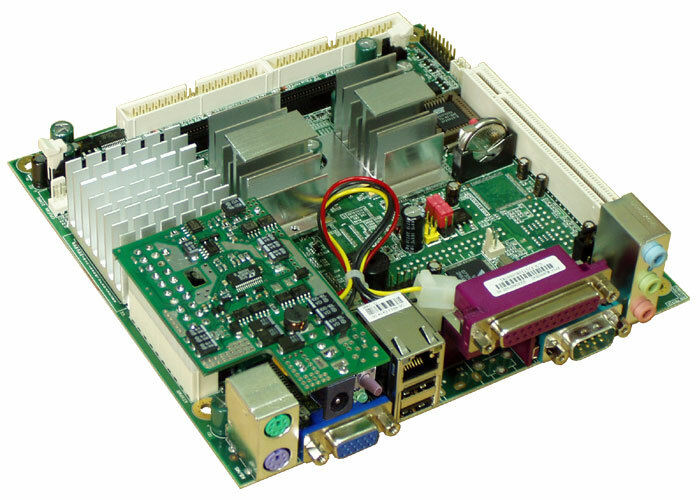 The DP031 is direct plug-in to the motherboard, but cables are not available if direct-plug-in to the motherboard is not possible. NOTE that the DP031 does not have a regulated +12 Volt output, but simply passes the 12 Volts of the input supply voltage through to the motherboard. This makes it difficult to use for automotive applications. 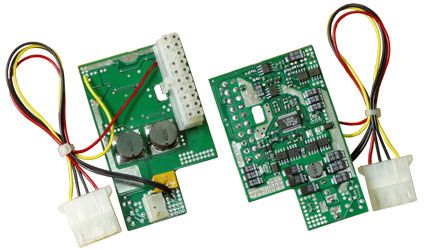 The wide input range unit is the DP022, which has an input range of 10 to 19 Volts. If you need regulated 12 Volts, then you should choose the DP022. 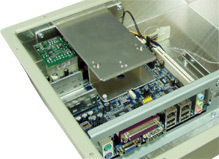 The DP031 PSU designed to create together with mini-ITX motherboards VIA EPIA M, VIA EPIA ML compact efficient energy saving solution of computer systems. Photo at the left shows motherboard ML6000 with DP031-DJK PSU. You may put such system in 1U chassis DS18 or DD61, DW61, DW63, DW64, DW65, DW69 compact chassis and motherboard ML6000 only - in chassis DD67, DW67. You can also put DP031-PWL PSU together with motherboards VIA EPIA PD and J7F4K (both photos at the left). Look also at barebone page >>>. 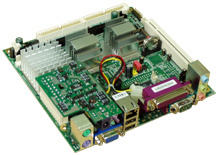 For another models of mini-ITX motherboards pay also attention to similar PSU DP032 with contrary position of output АТХ connector.